I love a salad that can be the main event. My sister is a master at creating a delectable salad and this one is a keeper of hers. 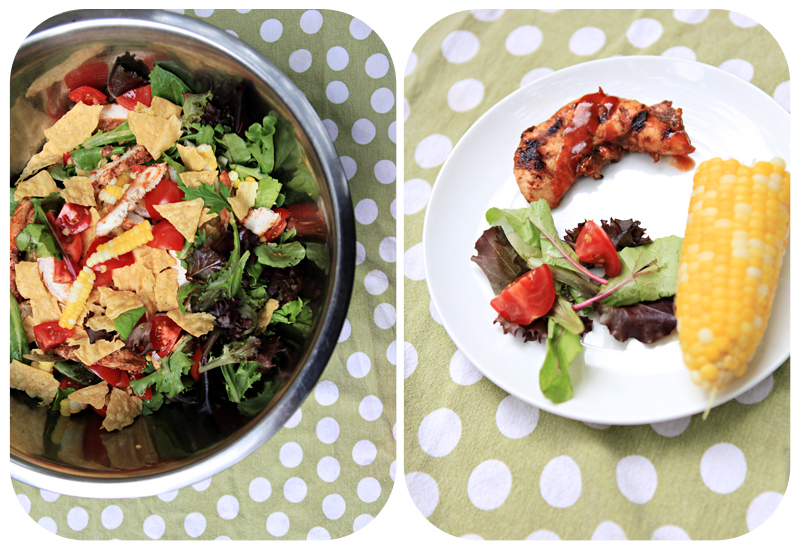 This salad stars barbequed chicken, which I marinated and Taido grilled. 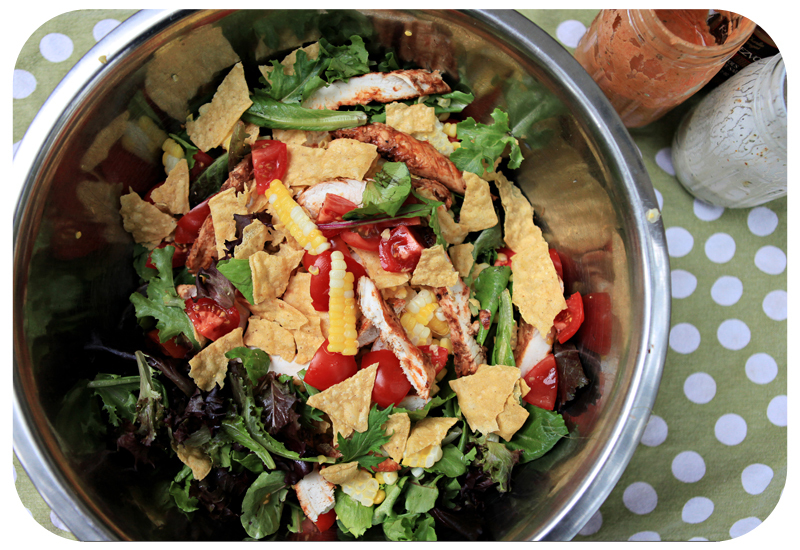 The dressing has a southwestern flare, but it’s really just barbeque sauce mixed with homemade ranch. Fresh corn cut right off of the cob adds a sweetness to the spicy. For the younger kids, who don’t love their salad all mixed together, I fixed plates of the same food that is in the salad while I’m throwing it all together. I made twice as much chicken as I needed so that kids (and adults) could also eat off the platter of remaining chicken pieces. 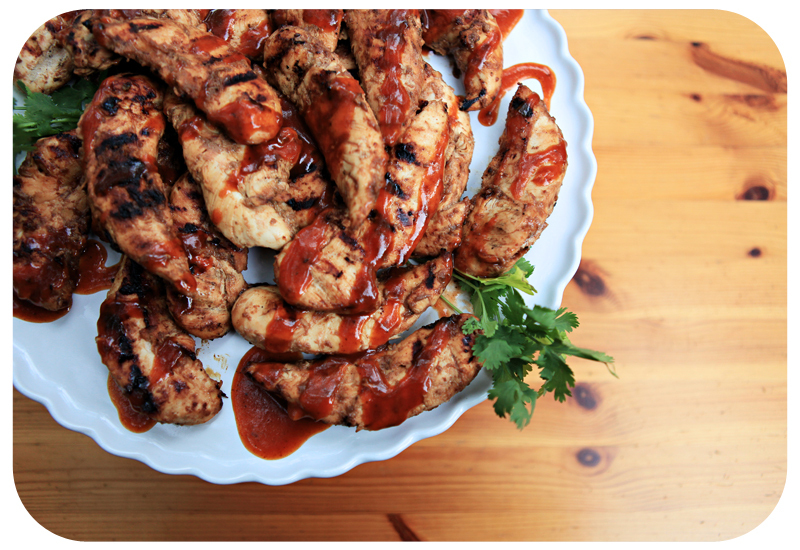 Barbeque chicken pieces: 2 pounds chicken strips, marinated for 4 hours in 1 cup barbeque sauce and 1/2 cup olive oil, grilled, drizzled with barbeque sauce and chopped into chunks. Assemble all the ingredients on a large platter or in a large bowl. This part can be done ahead of time. The platter is a great presentation, and you can serve the salad this way and have the dressing available on the side. Or you can add the dressing just before serving. This looks really good. 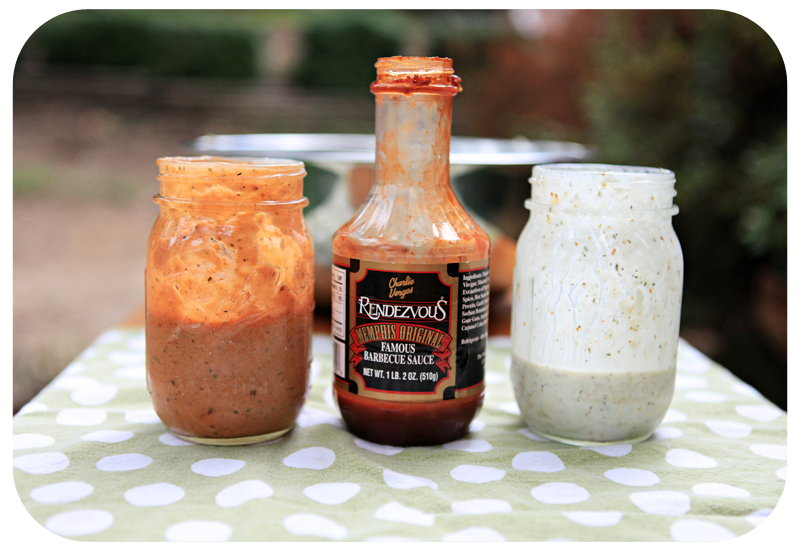 Is your homemade ranch dressing someplace on your blog? I want a good one without all the unnecessary additives.